An international center inspired by a vision of the Oneness of all life, and dedicated to the spiritual awakening of the human family. The School emphasizes education for spiritual renewal so students may orient themselves to eternal truths in a changing world. The Krotona library emphasizes the ageless wisdom tradition, or Theosophy, and spiritual traditions of East and West. 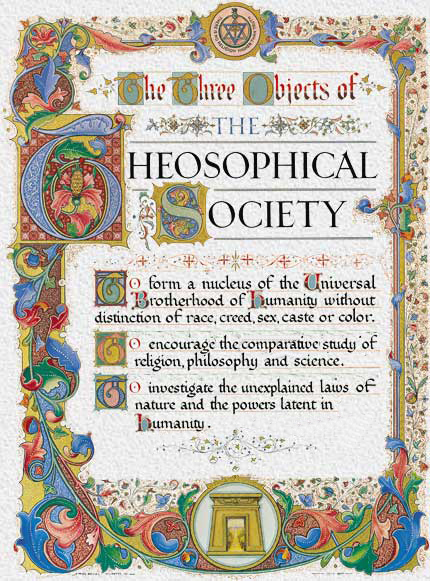 The Bookshop carries theosophical books, traditional and current works in consciousness studies, philosophy, religion, healing, psychology, vegetarian cooking, and related fields. In addition to the classes at the School of Theosophy, Krotona offers other activities and services that include study groups, meditation meetings, a healing network and more. Enjoy the beauty and serenity of this spiritual center. We ask that you respect the sacredness of the land and be sensitive to the needs of visitors and residents. Krotona Institute’s Sanctuary of Connections provides a quiet place where those of diverse or no faith can walk the links connecting each tradition. Don’t hesitate to call or email us with any questions about our programs, library, bookshop, or any other questions.